Want this item tomorrow, Saturday 27th April? Order within the next 10 hrs 29 mins and choose Saturday Delivery during checkout. 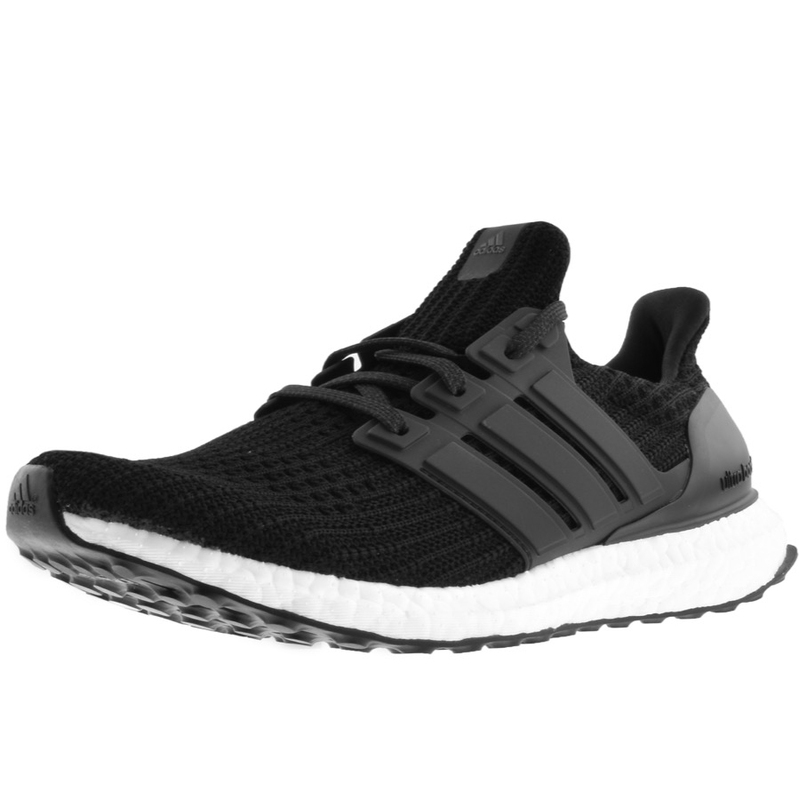 adidas Originals Ultra Boost Trainers In Black, Black lace fastening with woven mesh uppers in black with black synthetic panels on the instep and outstep which form the lace stand featuring the signature Adidas Three Stripes in black. A white leather look patch is on the tongue with a signature Adidas Trefoil logo printed in black and rubber heel guards in black featuring the Ultra Boost logo on the outstep in black. A chunky textured white midsole with a vulcanised rubber undersole in black. Part Of The Brand New Collection Of Adidas Originals Trainers and Flip Flops Live.